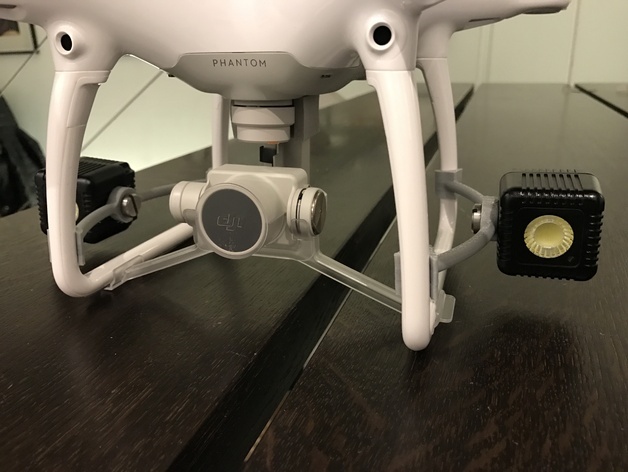 DJI Phantom 4 Carrier (e.g. for Lumecube) #3DThursday #3DPrinting « Adafruit Industries – Makers, hackers, artists, designers and engineers! Bgill shared this project on Thingiverse! I created this clasp to transport things with the Phantom 4. In my case I use LumeCubes with 1500 Lumen each. You have to print it at 105% in ABS to achieve the best result.